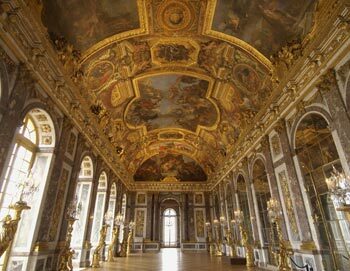 Don't miss this unique opportunity to discover the heart of Paris while enjoying a lovely traditional French dinner. Make sure you have your tickets from home and prepare yourself of a night in the name of romance. 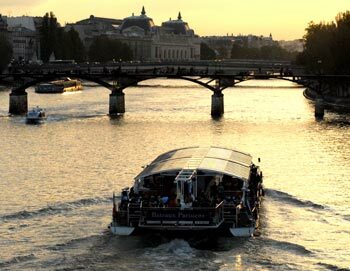 Paris dinner cruise takes you on a trip around beautiful Paris in a floating restaurant with a glass roof, so you can enjoy the evening sky together with your dinner. 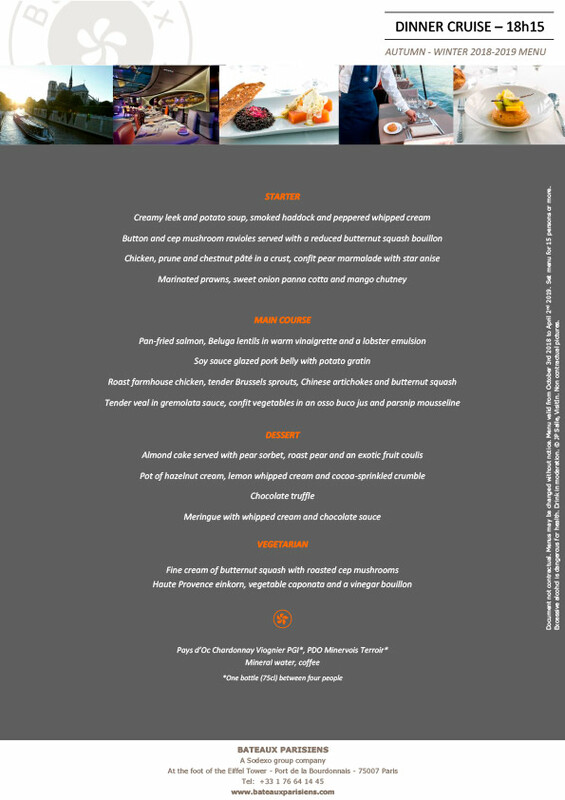 Onboard the boat you'll get a delicious á la carte menu served consisting of a starter, main course, dessert, water, coffee and selected wines. The food is prepared on board the boat, so everything is fresh and delicious. You can see the dinner and wine menu here. If you would like to go on a later cruise we also have tickets for a VIP dinner cruise at 8:30 PM. The tour ends at the back at the foot of the Eiffel Tower. The tour lasts 1½ hour. You can see the dinner cruise route here. 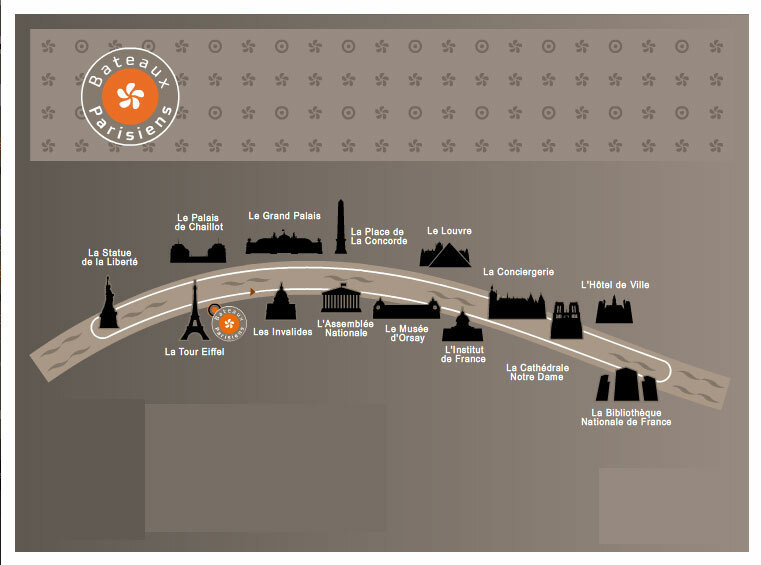 Be at Bateaux Parisiens, located at the foot of the Eiffel Tower no later than 5:45 PM. The boat departs 6:15 PM and duration is 1½ hour.